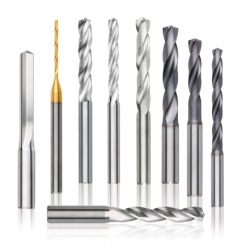 Kennametal is one of the cutting tool industry’s most renowned manufacturers, widely known for producing durable and innovative tools that deliver peak performance even in the most demanding environments. Businesses in Dallas, Texas, and the surrounding area that are looking to acquire products bearing the Kennametal name should look no further than CRC Inc. of Texas, which is now a Hurst Family company. Through our years of serving as an industrial supplies distributor, CRC Inc. of Texas has developed a reputation for delivering high-quality products, including a comprehensive selection of Kennametal tools, as well as exceptional customer support. 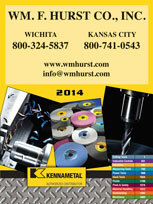 Plus, now that we were recently acquired by noted Midwest industrial supply company Wm. F. Hurst Co., LLC, two leading distributors are paired together on one team, offering even more benefits to our customers. Furthermore, our team has immense knowledge of all the tools in our inventory and can be trusted to make product recommendations that will help you improve processes and reduce costs. Contact us today to purchase the Kennametal tools you need for your business in the Dallas, TX, area and feel free to inquire about our wide range of other industrial supplies, which include a vast selection of assembly tools.